Did you know that Brazil is the world's largest beef exporter? So it was quite a slap in the face when the EU decided to ban all Brazilian beef imports, claiming that farms have been too lenient with dealing with foot and mouth disease. Brazil argues this is not true (a Globo news report showed that many farmers track each cow individually and its health) and says that Europe is just trying to protect its own struggling beef industry. Read more on BBC. Perfect timing, guys. Forty-three head officers of the Rio police have resigned, after the police commander of the city was fired for allowing a mass police protest about crappy wages. Officials say Carnaval will go fine and that the police coverage will be sufficient, but needless to say it couldn't come at a worse time, when Rio has the greatest amount of tourists and city-wide activity. Read more here. And in the main story of the day. The samba school Unidos do Viradouto has been forced to dismantle one of the floats they were going to use for this week's Carnaval parade in the Sambodrome after a Rio judge banned the float. Each samba school has a theme, and this group's theme is "Things that give you goosebumps." So the brilliant minds at Unidos do Viradouto put together a float depicting...the Holocaust. Complete with a mound of dead bodies, and a plan to have someone dressed as Hitler march with the float. The Jewish Federation of Rio issued a lawsuit against the samba school when they found out about the float, and the judge agreed, stating that Carnaval is not a time to spread hatred and to trivialize "barbaric acts." On Globo, they showed the man in charge of the samba school, sobbing openly on camera. But not with tears of regret. 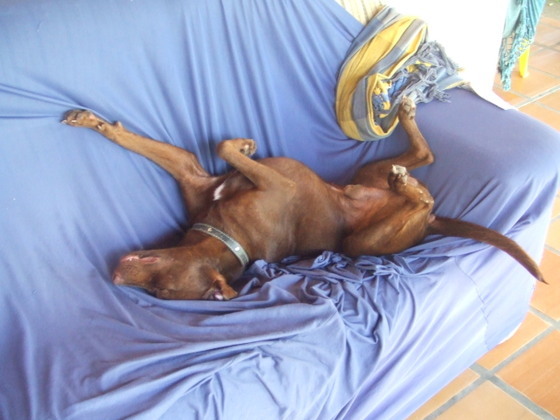 "This is totally ridiculous," he said. 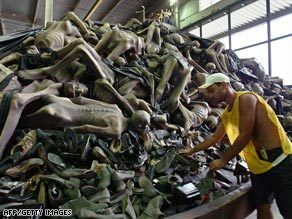 "We didn't intend to trivialize or make fun of the Holocaust in any way. We have freedom of speech, and we plan to try to overturn the ban." So here is the problem: ignorance. Carnaval is a time when Brazil turns everything on its head: the rich and the poor are equalized, what is normal becomes not, and the insane and the unallowed and the sensual and the uninhibited become the centerpieces of the festival. But since the guys over at Viradouto have no concept of the gravity of the Holocaust, to them it just seemed like another thing to "turn on its head" during Carnaval. Carnaval is not a time to take things seriously, but rather to overturn what is normal to enjoy a time of absolute ridiculousness that only happens once a year. However, there is already a precedent about censorship during Carnaval. One year, the Beija-Flor samba school was censored for using a depiction of a bloody Christ; the authorities covered it with a black bag and the samba school used the image as such, to show what the censors had done (photo here). I doubt a samba school would make a float depicting the "disappeared" and tortured Brazilians during the dictatorship, or of slaves getting beaten by a master. The Holocaust is simply out of these guys' frame of reference. Most of them are from favelas and live in a world completely different from the one most of us know. So when I saw this report, I was less offended than I was sad, to see just how ignorant people are. Below is CNN's photo of the float. It is disturbing, so be warned. Today Eli, me, and a ton of hostel people went to two of the most beautiful beaches in the city of Rio: Prainha and Grumari. They are simply gorgeous. So we sat around, ate, watched the crazy surfers in the enormous waves, and the boys played rugby with a coconut and some soccer. 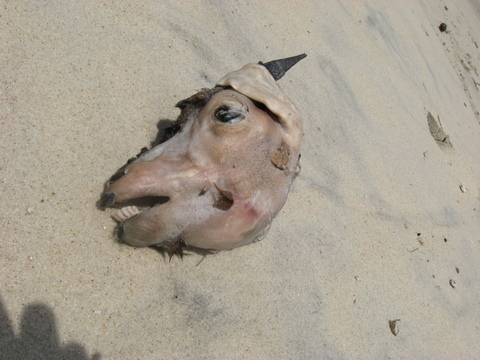 We also saw a goat head on the beach at Prainha. Yup, a goat head. 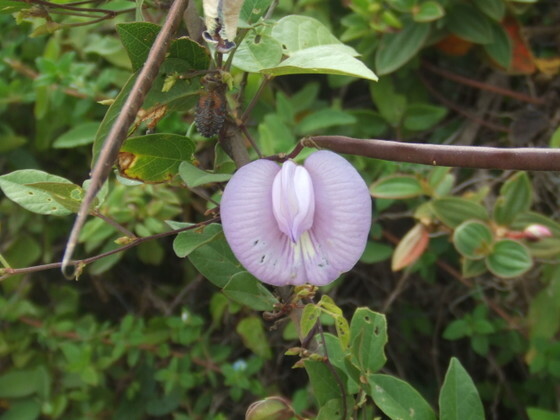 I suspect some Candomble ceremony, but being Brazil, who knows? And this is Prainha. It's gorgeous. Also, Eli informed me we currently have almost no channels on the TV. I was like, "Oh, well we should call NET then." (The cable company) He laughed. "Do you think that will do any good? We have stolen cable. Almost everyone does." I was perplexed. "You mean...our landlord uses stolen cable?" "Yeah, everyone does because it's so expensive." I made him call our landlord, who said that NET had managed to start blocking illegal cable users and he was going to try to find a way to fix it--or actually pay for it. This is Brazil. You can see the complete album of all my pictures from Santa Catarina in my new photo album, here. Check out the album for more. There are nearly 200 so make sure to click the arrows on the bottom. That magazine should not BE ALLOWED in airports!!! Luckily though, my flight went fine and lasted a little over an hour. Then I happily got my bag right away and found the bus, since I'd shelled out R$50 to get to the airport in Floripa and didn't feel like spending on a cab. However, the bus took a ridiculous route and took TWO HOURS to get to Botafogo. Ridiculous, and never again. When I got home, Eli and I exchanged gifts, like it was Christmas or something: I got him a tee-shirt and a beer mug, and he got the both of us TICKETS TO THE CARNAVAL PARADE!!! I had given up on it since the cheapest tickets I could find were ridiculously expensive, but he waited all morning to get these much better priced ones, since he knew how much I wanted to go. I'm ridiculously excited. When I got back, I realized how really happy I was to be home. Rio really has become my home. Dirty, smelly, violent, and chaotic, it is still the place I have learned to love and live in. That, and seeing Eli, too. And my apartment. Oh how lovely to have personal space again. The other thing I realized is that as much as I enjoyed the south, I think that the state of Rio has most of what Brazil has to offer, except for the Amazon and Pantanal. In this little state we have big crowded city beaches, paradisaical Caribbean-like beaches, forests and mountains to climb and explore, historical cities and sites (Rio's Centro and Santa Teresa, Paraty, Petropolis), cultural events (New Years and Carnaval and religious holidays), and then of course, what I like to call Civilization: restaurants and theaters and shopping and the Metro and museums and clubs and the list goes on. Floripa is a cute city, but it's not the kind of Civilization we have here in Rio. And I feel most at home in Civilization. Today was my last full day in Floripa. I had signed up again for a boat tour, but it actually was nasty and gross today so it was cancelled. I still think it is kind of ridiculous it was cancelled on the nice day, but hey. These things aren`t always logical. 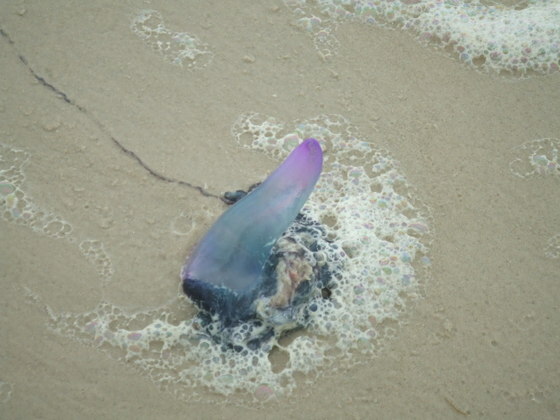 So, since I was already up, I went for a long walk on the beach, where I encountered some weird stuff: two separate guys, of their own accord, wearing only Speedos and sneakers to run; a woman with what looked like a butterfly net and her young son carrying a knife, bright purple sea creatures washed up that I took to be jellyfish. After that, I wandered around, sat on the beach for awhile, and got a delicious shrimp lunch, and then went to Prainha and relaxed there for awhile. It was kind of windy and cloudy today so it wasn`t the best beach day. This little beach town is odd, and I think a lot of Floripa is similar. There are far fewer homeless people here (in this town, I think there are none), but there are entire legions of stray dogs, all over the place. Some random stuff I forgot. Yesterday the Israeli girls asked me if I knew their American friends, Rachel and Jeff and Jon. I was like...it is kind of a big country. Yesterday when I was at the outlet place I decided to try on some bras because they were super cheap (also, incidently, super cheaply made). So I went to bring a bunch to the dressing room and the lady is like, ¨No, you can`t try on white bras. It`s not allowed.¨ and she took it right out of my hand, as I stood there totally perplexed. I understand the biological concept behind not letting people try on underwear or bikini bottoms, but a white bra?? If I`m that dirty wouldn`t I make any other color bra dirty?? Finally, the last thing I forgot to talk about yesterday is the North-South division. Just like in the US, Brazil is a divided country. First of all, like the US, Brazil is divided into states as a federation (Brazil is officially the United States of Brazil, on government stuff). Secondly, like in the US, the South of Brazil tried to succede from the main country at one point, and failed. Except the biggest difference between the US North-South divide and the Brazilian one is that the Brazilian North is mostly impoverished with a large black population, while the South is the richest part of the country with a large white population. Today I went on a tour and it was a fascinating, long, and profoundly weird day. I was excited to see the tour company was really organized. They picked up people in the same areas, and then all the buses met up at a meeting point and we switched to the van that was taking us on our particular trip. The guide was super smart and spouted stories and facts and numbers practically the entire two hours north. The trip was to Blumenau, a city created by Germans and currently populated by mostly their descendants. More on this later. So here are some of the fun factoids I learned. Florianopolis is a truly weird city. It is not the most populous city in the state, even though it is the capital; a random industrial city I`ve never heard of is the most populous, since it has so many jobs. 86% of Floripan residents were not born in Santa Catarina, but in other Brazilian states like Sao Paulo and Rio Grande do Sul. 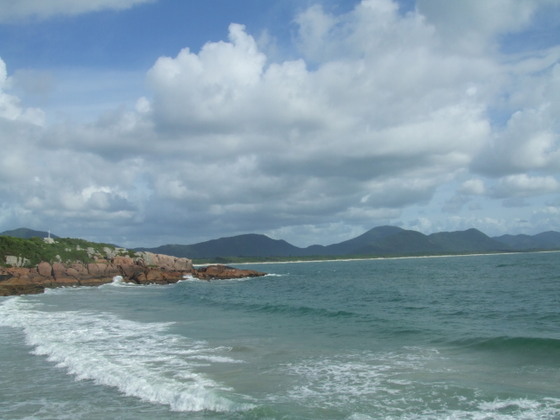 60% of the island of Floripa is protected under environmental law. There was no slavery in Santa Catarina, so the black population is minute. Unemployment is 9%. 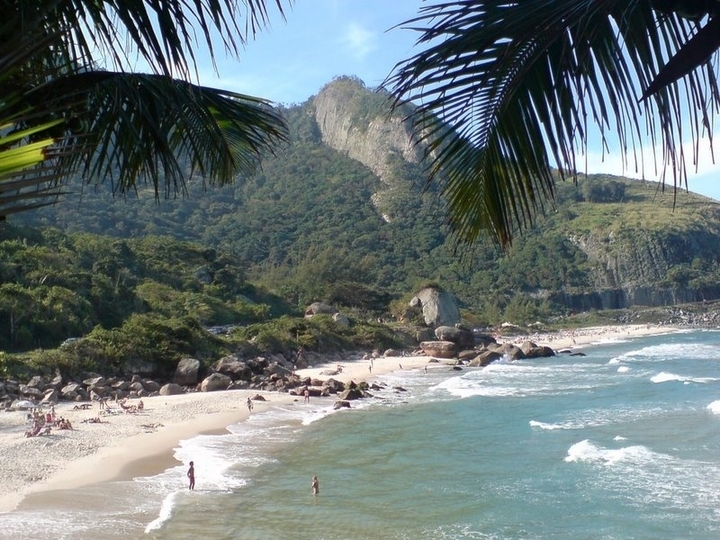 Floripa supposedly has the highest quality of life of any Brazilian city, is the cleanest Brazilian city, and is the Brazilian city with the lowest crime rate. Nevertheless, there are favelas and crime in Floripa. Apparently, the drug trade is the main source of crime and violence, like in Rio. However, the state government has a program called Bom Abrigo, in which each month it takes people out of their favela homes, destroys the homes, and builds them real houses to live in. Some of them are really cute -- we passed them on the highway. I`m not sure this system is necessarily doing much good though; Cidade de Deus in Rio experienced a similar program and it is still one of the most violent favelas. Anyhoo. He also told a great story about one of the bridges that connects Floripa to the mainland. It was built in the 1990s, but the engineer disappeared with US$8 million before its completion. He left his wife and family, eloped with his secretary, and went to Spain, where the pair went to support Brazil in the Olympics. 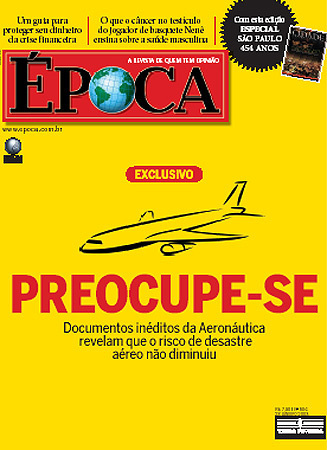 Except that wasn`t too smart because Globo caught them on camera, and the police were on their tail. They managed to elude them until a few years later, when the engineer was single, penniless, and arrested in Portugal. He spent some time in jail but is now free, living in Floripa, and wants to help restore the old bridge undergoing construction to the mainland. I loved the trip through the countryside. It is stunningly beautiful here, with rolling fields, huge farms, enormous forests, and gorgeous homes, big and small, surrounded by tropical gardens. I also loved seeing a Bug pulling a wooden cart with a cow crunched inside. The part of the state I visited today is known as the European valley, which was settled by Portuguese, Italian, and German immigrants. It is the home of the largest textile manufacturing center in Latin America, and of a lot of towns that have parts that look like they were plucked out of Germany. Blumenau is the main German town. Parts of the architecture look straight out of ye old Germany and one of their big industries is making beer. Because of the textile industry, though, there are 4 women for every man in the city. Since most of the residents are of German descent, many are very fair-skinned, and apparently skin cancer is one of the biggest health risks in the city. As such, the government distributes sunscreen for free through public hospitals and clinics. 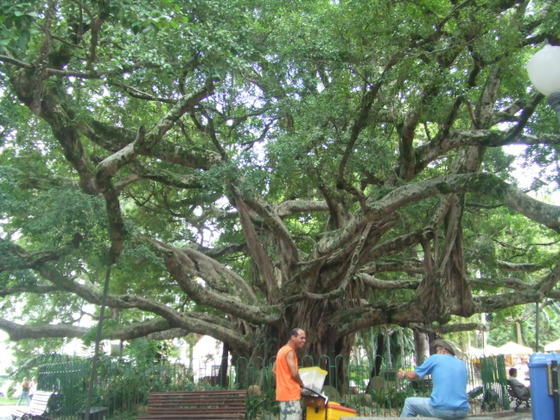 Blumenau is also home to Brazil`s second largest festival after Rio`s Carnaval: Oktoberfest. It is like the German one, where people drink beer and party for days on end. However, it has a really interesting history. 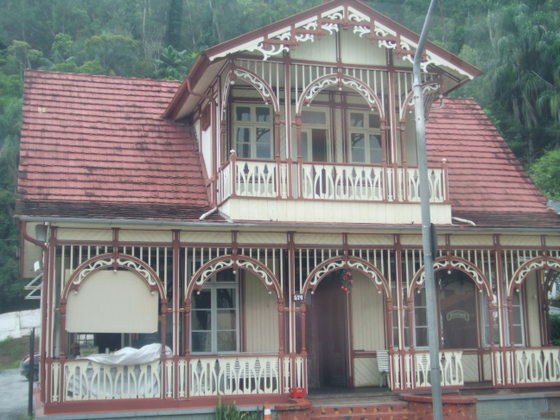 Blumenau used to suffer from terrible floods that destroyed entire parts of the city. In the 1980s, after a really bad flood, the Catholic Church (which has a weak presence in a German Protestant area) decided to hold a fundraiser to help victims of the flood. Let`s have an Oktoberfest, the Church said, and have people pay to drink beer. The German goverment (or beer companies, its not clear) found out and decided to donate all of the beer, and they still do, to this day. The highest turn out was in the mid-80s when over 1 million people attended Oktoberfest. Blumenau is one of the hottest cities in the state, reaching in the early 100s easily in the summer and the 80s and 90s even in the winter. It`s super humid and hot from being located in a particular spot in the valley. Meanwhile, the coldest city in the country is found in Santa Catarina, where it can get as cold as -10 degrees Celsius and can snow. So the tour technically started in Blumenau, where we stopped at the Beer Museum (tiny but cool), then drove around to see parts of the city, then stopped at a really obnoxious tourist trap store, and then went to lunch. The guy first told us we were headed to a churrascaria that cost R$30, and I got mad because eating rodizio for lunch, and an expensive one at that, was not what I at all wanted to do. But he said that across the street there was a cheaper option. Off went me, the Argentine couple, and the Brasilia couple. Thus began the best cheapest meal I have had since Argentina. It was in a huge beautiful hall in some sort of sports club, that looked very German. The line was super long but it was worth the wait. For a mere SEVEN reais, about US$3.50, you could put as much food on your plate as you could balance. This is different from every other Brazilian buffet place I`ve been to, where they weigh your plate and you pay for as much as you got. This was a bad habit for today since I should have piled on much more food because it was incredibly delicious. The seven reais also includes a free juice (tangerine or raspberry) and a free dessert. Oh my god, the food was exactly what I`ve been craving lately. Real food besides rice and beans (though of course they had that). PICKLES. Real pickles. Coleslaw. An amazing yellow rice that seemed to be soaked in wine. Amazing meat and chicken. Fresh veggies. Oh my good god. I wanted to go back for seconds but I didn`t want to be a Gluttonous Gringa, so I left after paying my 7 reais determined to come back some day. After lunch, we went to the Beer Garden, where they hold Oktoberfest. During the year, they have mini-ones once a week, but during the day it´s basically a tourist trap where you can buy touristy crap and visit and old car exhibit, try local alcohol, and dress up like a German. I tried ¨beer liquor¨ which is like a liquor...made of beer. It was surprisingly really delicious except made me feel kind of sick later. You can only buy it in Brazil and Germany. I also bought some touristy stuff for my boyfriend and brother. When I got back to the hostel, there were two huge backpacks right next to my bed in the middle of the floor. The bathroom was occupied with what seemed like forever, and when the door finally opened, two girls got out from the shower and went back into my room. They must be American, or Argentine, I thought. Only those people are that obnoxious. But then I talked to them after I got back to the room, and it turns out they`re Israeli. I am completely fascinated by Israelis, so we talked and I felt less annoyed by their obnoxiousness. Israelis are kind of like that aren`t they? They are going to DC and NY after Brazil, ironically. Anyway, I may or may not be going on a boat tour tomorrow, since apparently it`s dependent on the weather and the ocean. So I gotta go. I brought a bunch of slightly old VEJAs with me to read while I´m here, and I came across this completely fascinating article about religion in Brazil. Brazil has the largest Catholic population of any country in the world, but is also a place where religion is flexible; you can dabble a little bit in Evangelical religions and Candomble, for example. However, the 2000 census showed that atheism, or at least people who claim themselves to have "no religion" is on the rise. For example, in 1940, only 0.2 percent of the population considered themselves without religion. In 2000, 7.3 percent -- or 12.5 million Brazilians -- proclaimed themselves to be atheists. Rio de Janeiro is the state with the largest number of atheists, and Salvador is the city with the largest number of atheists. It´s not hard to become an atheist living in Rio, sadly. 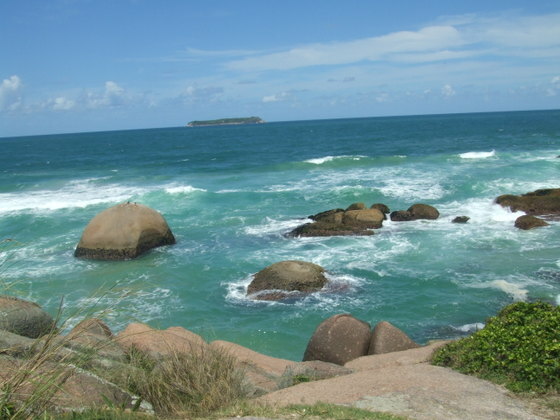 The town with the highest number of atheists is a town of 7000 people in Bahia, where nearly 60% of the residents proclaimed themselves "without religion" during the census. Local religious leaders are furious and say the census people did something wrong, misinterpreted the answers, blah blah. And it seems like none of the townspeople are owning up to being atheists, and many attend church. It is weird, though, since in the 1991 census only 6.35 percent of the town proclaimed themselves atheists. But it´s not just atheism on the rise. Only 2.6 percent of the Brazilian population was evangelical in 1940; in 2000, a whopping 15.4 % were, and it continues to rise. Around 40% of practicioners of Candomble, the Afro-Catholic syncretic religion developed by African slaves, are now white. Meanwhile, it´s Catholicism that´s becoming less popular. In 1940, literally 95% of the population proclaimed itself Catholic. In 1970, the number fell to 91.8%, and in 2000 it fell even further to 73.8% (130 million people). Catholic leaders are very unhappy about this, and are trying to make a comeback as people turn to Evangelical churches, or no churches at all. Despite these trends, a recent poll shows that though more Brazilians are turning away from religion than ever, atheism is a cultural taboo. When asked who they would vote for for President, 84% said they´d vote for a black person, 57% said they´d vote for a woman, 32% said they´d vote for a gay person, and a measly 13% said they´d vote for an atheist. The negative side is interesting too. Only 1% said they wouldn´t vote for a black person, only 12% said they wouldn´t vote for a woman, and then 34% said they wouldn´t vote for a gay person, and then 59% said they wouldn´t vote for an atheist. I think looking at the Brazilian religious scene is fascinating, and has a lot of parallels to the US, where religion unfortunately gets mixed in with many things it shouldn´t, like politics. And just like in Brazil, evangelical churches are growing fast, aided by politicans of the religious right. Apparently there are a lot of atheists in Western Europe. Perhaps atheism is a sign of improving education?